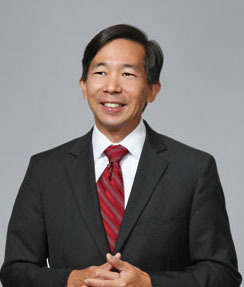 Whether advising in-house counsel at a Fortune 100 corporation, or counseling principals at a technology start-up, Chris Chan helps clients identify key intellectual property and implement iron-clad legal strategies to protect it. His practice encompasses all facets of patent law including international and domestic portfolio management and strategy, patent procurement, opinions and clearance studies, due diligence, licensing and related litigation. Chris offers clients a unique combination of intellectual property legal knowledge, advanced technical training and an intimate understanding of the Asian marketplace. He obtains and enforces key patent, trademark, copyright and trade secret rights for a variety of technologies, from computers, software, and financial transaction systems, to power generation equipment and controls, electro-mechanical devices and medical devices. Represented Tillotson Corporation in one of the largest patent enforcement actions as measured by the number of defendants sued. Provides domestic and international patent prosecution and counseling services to a leading e-commerce and consumer electronics company. Provides patent prosecution and counseling services to GE related to power generation technologies.